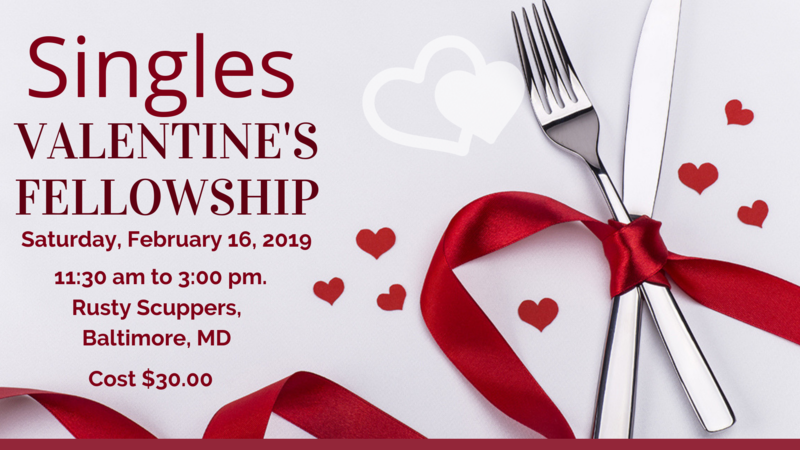 All singles are invited to join us for a Valentine’s Celebration with great food and fellowship at Rusty Scuppers in Baltimore on Saturday, February 16th from 11:30am to 3pm. Reserve your seat for only $30 January 13th through February 10th; space is limited. Transportation will be provided.